It has been en vogue for quite a while for various musicians, especially guitarists, to become “unplugged.” They play their songs that were plugged in an unplugged version. I confess that in most instances I do not care for either the plugged or the unplugged version. Being unplugged is not en vogue for me: I have spent my lifetime being unplugged. My very dear friend said that she finds no problems in the snippets: there are a lot of great lines, although there were a few terms that struck her as “off.” I went over them with her and I agreed they were not only off; they were all wrong! It is a good sign, however, to be discussing better turns of phrase and the more historically-accurate words than to confront a non-villainous main character who comes off as dastardly. My friend then confessed to me that she just can’t read an e-book (my completed novels); she likes the feel of the pages. I fully agreed with her. I expressed my wish for enough e-books of mine to sell so that the paper version becomes economically feasible. With the world economy in a shambles, only the best-selling and the best of the best-selling books can afford to be published in the old-fashioned way. I think this market force is fantastic. How many piles of worthless books have sat, collecting dust, in a bookstore, something that is another disappearing entity. The books that reach paper stage will deserve the right to be in your hands. They will have earned the paper they are printed on. She mentioned a novel of that sort, and I grinned and said, “I don’t read fiction, at least not current fiction.” She grinned and said she’d thought so. I explained to her that I don’t have time to read current fiction; I’m too busy doing research which, at times, involves re-reading classics or reading ones I didn’t get to, like Beowulf. I don’t even read my own books after final edits are done! (I have, however, submitted to “reading” excerpts aloud for the marketing strategy that I devised.) When I studied novels and the craft of writing fiction, I read “classics” in English and in French, although there were a few “recent” novels in my Contemporary American Literature class. And Professor Claeyssens selected nothing current, just “contemporary,” which he interpreted as sometime within the previous decade or two. I have made some attempts to keep current with fiction. I sometimes read reviews; I recently stumbled into the existence of “the Vampire Diary thing” (book and show) while researching something else. When the Harry Potter books came out, my children voraciously read them and summarized them for me (at least the first three of them). The plots did not interest me but the publisher did: it was a tiny company in rural Virginia; this same company published the Scholastic Books of my childhood. Back in the 1980s, I read a book by Jackie Collins, just to see why she sold. I saw why she sold. My very dear friend and I discussed the smarts of that female and of her sister. She asked if I could imagine how fast the e-books of Jackie Collins would sell today. Yes, I can imagine; but I cannot write just about “romance,” something Dear Husband refers to as the bodice ripper. 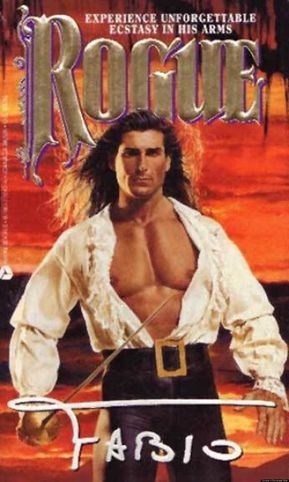 I must confess that I read one romance novel, once, purely as a literary adventure so that I could, in all honesty, critique the genre. I do not remember if the cover had Fabio on it; I made a cover for the cover from a brown paper bag. I know that type of book sells, but the only way that I could bring myself to write “romance,” at least in that way, is as satire or farce. This discussion led me to realize how unplugged I am, and have been, from whatever is current in “pop culture.” It has always been that way with me, even as a child. When I was in the playpen, which back then was a true pen, wooden bars and all, I would play during the time that the television show was on and look up to watch the commercials. When the show came back on, I lowered my head to resume playing with blocks and puzzles. When another commercial came on the tv, my head rose so that I could watch another commercial, ad finem. I did devotedly watch “The Dean Martin Show,” “This Is Tom Jones,” and “The Glen Campbell Goodtime Hour” in their original broadcasts. The theme of talented, good-looking male singers was consistent. While at GWU in the early-mid 1970s, I watched on a vintage black-and-white TV reruns of the original “You Bet Your Life” with Groucho Marx. Of course, that show was a classic. I especially liked the non-politically correct “Secret Word.” I did see Young Frankenstein when it was first out in the theatre. But that movie had instant classic written all over it. I am typically years, if not decades, behind the times when viewing television shows and theatrical movies. I saw the Star Wars trilogy in the mid-1980s on videotape. I saw Jaws in a theatre sometime in the early 1980s, and I watched Doctor Zhivago in a theatre in 1983. This film first came out when I was a child; I recall much fuss being made over the fashions and Mr. Sharif. 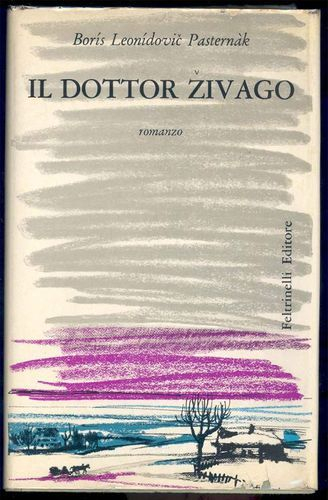 Doctor Zhivago was worth waiting for. It is vastly superior to the novel which is a beautiful, lengthy, lyrical prose poem with a vague, confusing plotline. 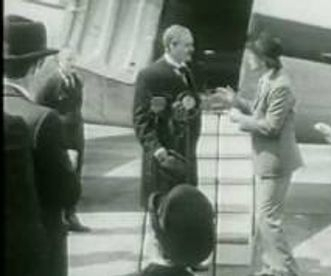 Robert Bolt created a magnificent screenplay and majestically ordered the characters in the adaptation of the novel. And Zhivago’s personal life, while definitely not dead, was an absolute mess. His personal life was too alive! Dragging Debra to the movies always had its comedic elements. I fell asleep in my seat during a much later run of 2001: A Space Odyssey. My date claimed it happened during the opening credits. Now, whenever “Oscar” night comes (and I have not watched the Oscars or any “award” show in decades) I scarcely recognize the names of the “actors” and “actresses.” It is quite an accomplishment. It is undoubtedly because I listened to highly talented vocalists and musicians from the 1940s, 50, 60s, and even into the 70s that I completely tune out the completely wretched, packaged phoney “music” of today. Some of my best memories of childhood are my primary pastime during hot humid summer afternoons: listening to Cousin Brucie (and the music too) on my little transistor radio. When I heard him resurrected on satellite radio, I truly did rejoice. When I was pregnant with my son I experienced insomnia and watched TV in the middle of the night. Those UHF stations were playing “The Streets of San Francisco” and “Ironside,” a full decade after they’d been aired in prime time for the first time. I quickly realized that I’d missed nothing. 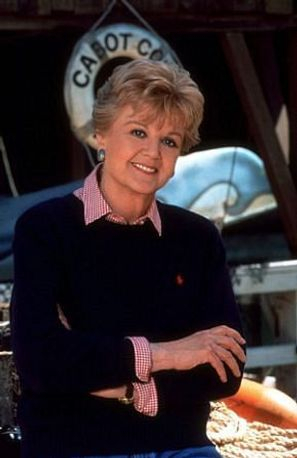 Before I began to segue into my mothering career, I did watch one weekly tv show with devotion: “Murder She Wrote.” Yes, Jessica Fletcher was a role model for me (actually, it was Angela Lansbury). When the first NORTHSTAR was published and I had to go to book signings, I even dressed like her. A friend informed me that I was carrying the Jessica Fletcher thing a little too far. (Sophia Loren is another role model, but not in a literary vein.) It was no surprise to me that “Murder She Wrote” was even better in re-runs! As my life has progressed through its various phases, I’ve come to realize that I protect, for lack of a better term, my sensibilities from the overweening, crass adulation that too many Americans (and the fawning “critics”) emit toward the latest offering (on any medium) that is new and supposedly exciting: An instant classic! The best romantic comedy of the year (in February no less)! My all-time favorite destined for greatness! I don’t have time for that sort of thing. I am not an elitist. I simply (which is not so simple) pare down my life to the most basic elements; following media obsessions to help a defunct medium amass profits is not basic. It was only a few years ago that I watched the first few seasons of “Magnum, P.I.” It was quite a good show, very well written and acted. A year or so before those DVDs came to me from out of the past, I watched the first few seasons of the original “Mission: Impossible.” Again, the production was excellent, the acting superb, the fashions drool-worthy (except for that tube of orange lipstick that must have been the only one in the entire studio – I’ve also seen it on Carol Burnett in reruns). “What’s it about?” I asked him. I later saw what Kyle Chandler looked like and my interest in this show became quite another story. By then, it was decided (note the usage of the ambiguous passive voice) that my son was at a far more appropriate age to watch this show; and that we had to sign up for cable (finally) because CBS was cancelling “Early Edition” after the always-critical fourth season. I wrote a letter of protest, along with many others who had actually watched the show! About a decade ago, the DVDs of “Fawlty Towers” were given to me by a teaching colleague who was commiserating with me about the miseries of dealing with educrats. He believed that, having been a waitress, I would enjoy that type of humor. I did more than enjoy it. I now realize that invaluable memories of my waitressing days and nights were jogged by the indescribable humor of John Cleese and his cohorts. The fact that those “televisual feasts” were historic treasures from the past only added to my viewing pleasure of them. Those DVDs necessitated the purchase of a DVD player, but no matter! Being unplugged has meant that, once or twice, I’ve been technologically behind the times, something an engineering technical writer ought not to be. Of course, Johnny proved to be the superior artist in the end. The problem was that the end had to come before he was fully appreciated. My tastes in music have always been behind the times or not “with it.” I listened to songs of the 1940s and 1950s while my teen-aged peers were assaulting their eardrums with the noise produced by Led Zeppelin and The Who (“Who?” I would inquire.) 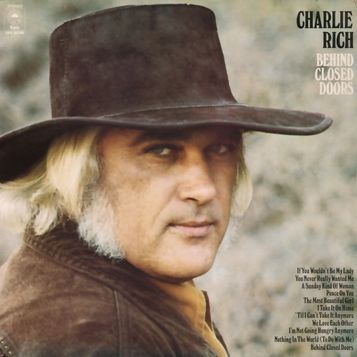 While at university in Washington, D.C., I was entranced by the pure, unadulterated singing of Charlie Rich and I was busily taking clues from Gladys Knight and her pips about how to use my imagination. My classmates were drooling over Peter Frampton and appeared fixated on David Bowie. Everyone else was meeting Maria Muldaur at her oasis at midnight, but I was learning from Cleo Laine how the summer knows. I was told that I was “really out of it” and “out of touch.” I prefer to think that, being unplugged, I was ahead of my time and still am. I’m about as unplugged as the Beverly Hillbillies were, and I did see them in prime-time during my childhood. Now I’m hoping to get me a cement pond out back.